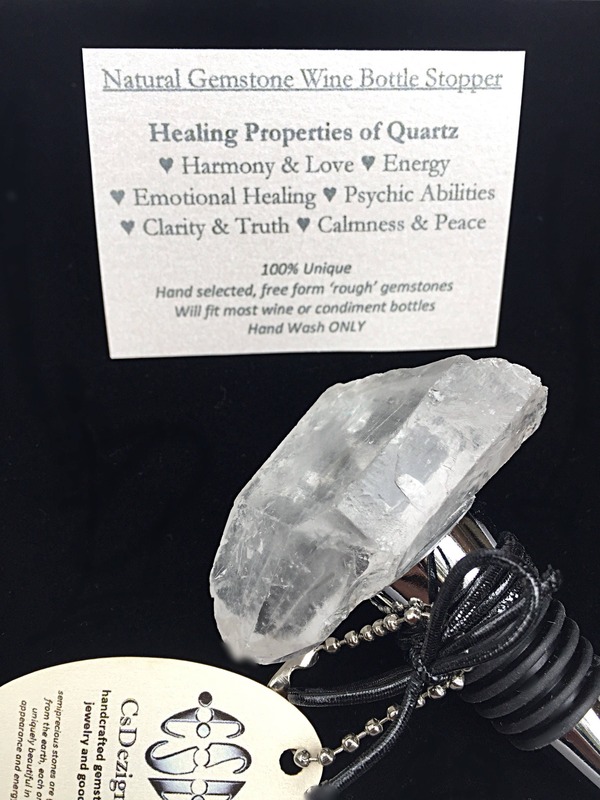 Beautiful clear Quartz Crystal gemstone bottle stopper for a Valentines Day or Birthday gift.💘Perfect wine gift for him or her. 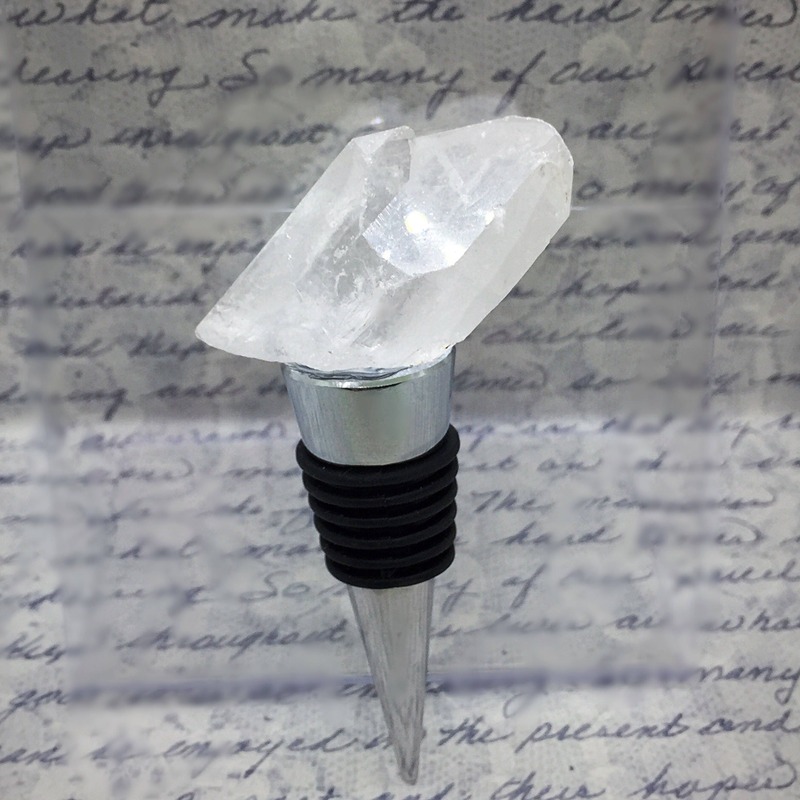 🎁Preserve your wine with our Large Clear Quartz Crystal Point Wine Stopper. 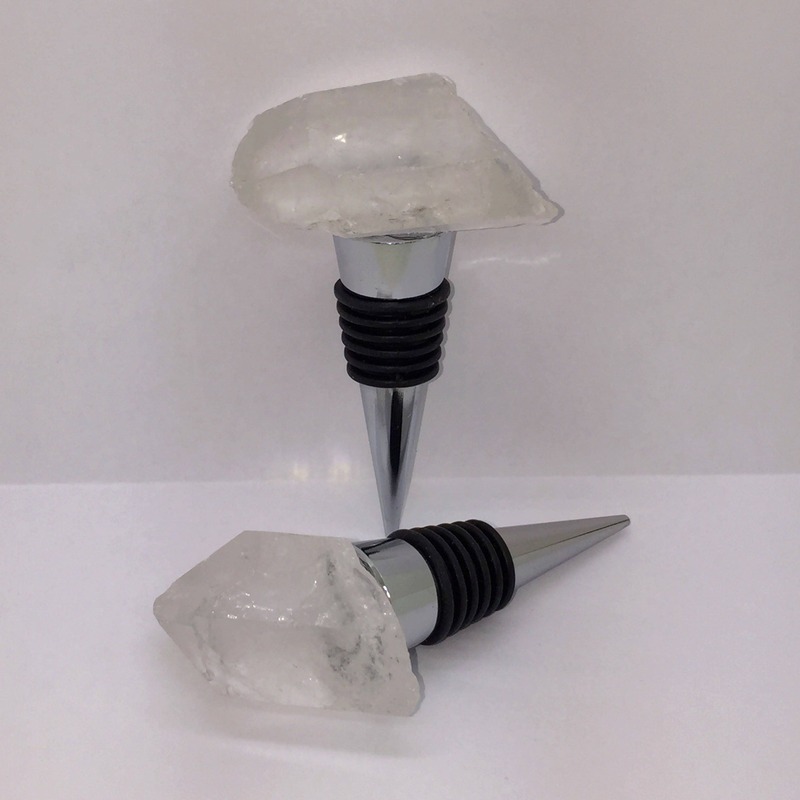 Beautiful Quartz Point Wine Stopper for your dining table, kitchen or bar. 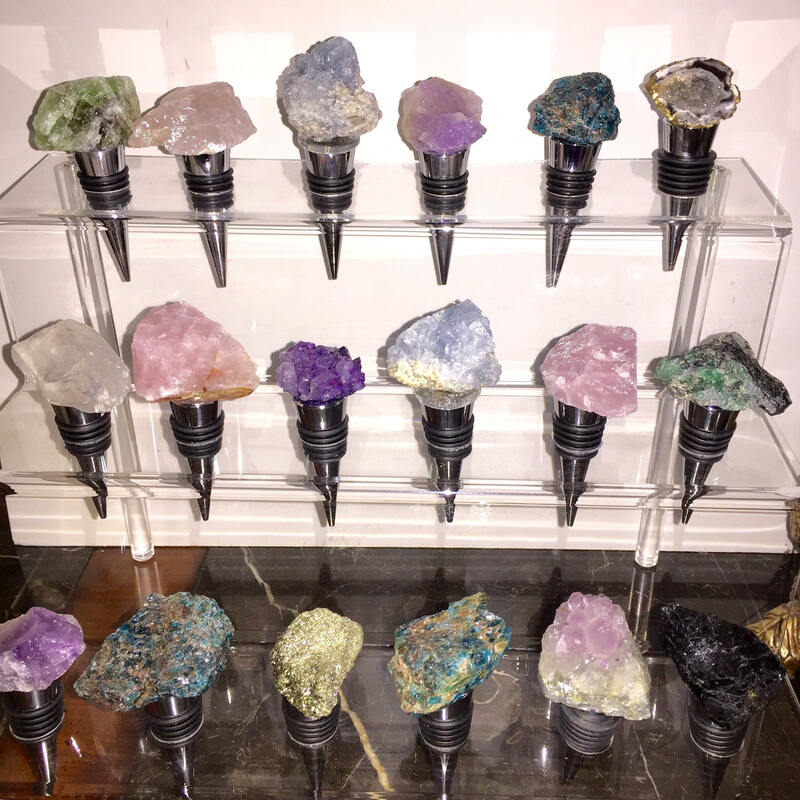 Also available in Druze, Rose Quartz, Pyrite, Agate, Tourmaline, Apatite, Crystal and more. 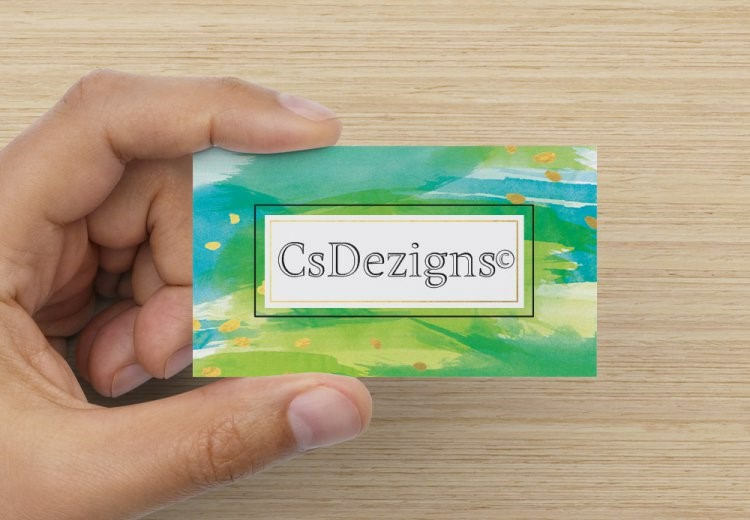 Colors include White, Pink, Black, Green, Purple, Brown, Yellow, Red, Blue, etc. Each stone is unique and different, shapes may vary. 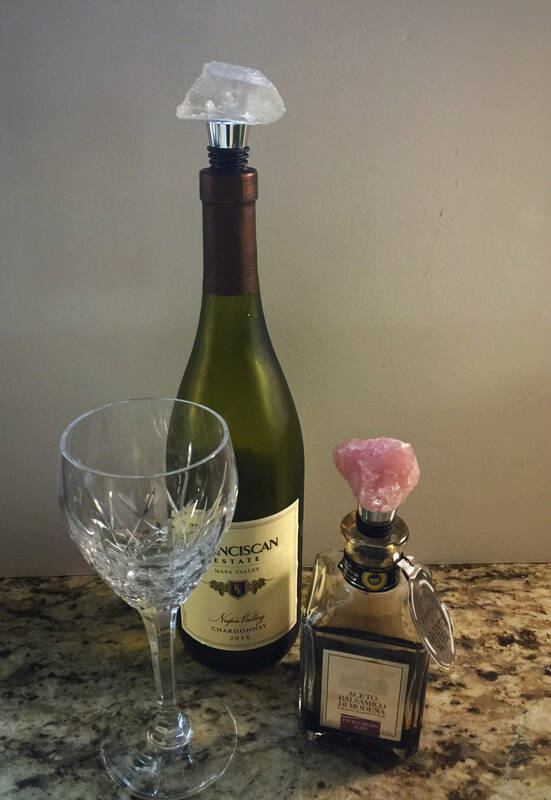 Please Visit the Wine Stopper section in my shop for additional items. 💭 The stoppers also work for oil and condiment bottles. 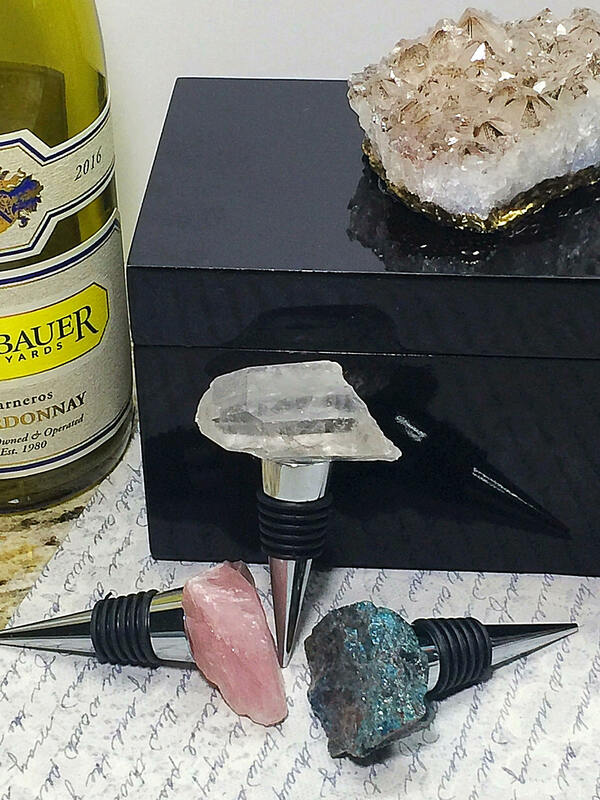 Our Wine Bottle Stoppers are a luxurious gift by themselves, and are even more fabulous given with a bottle of wine. Ideal for a friend, wedding, hostess, birthday, valentine💋 or any special occasion. 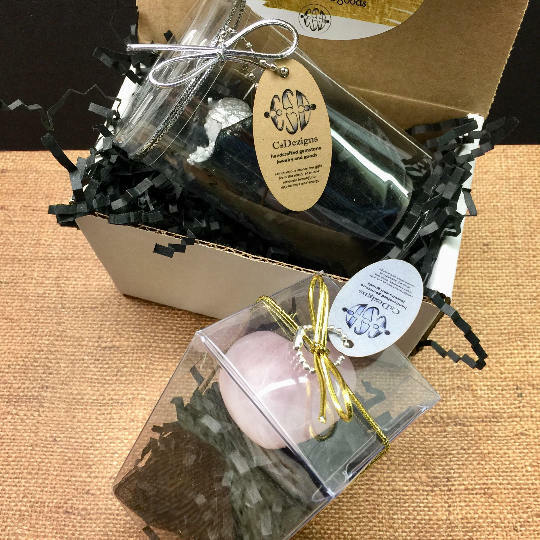 Your Bottle Cork / Wine Cork will be packaged in a clear tuck top box or cylinder with a drawstring pouch and crinkle cut filler. 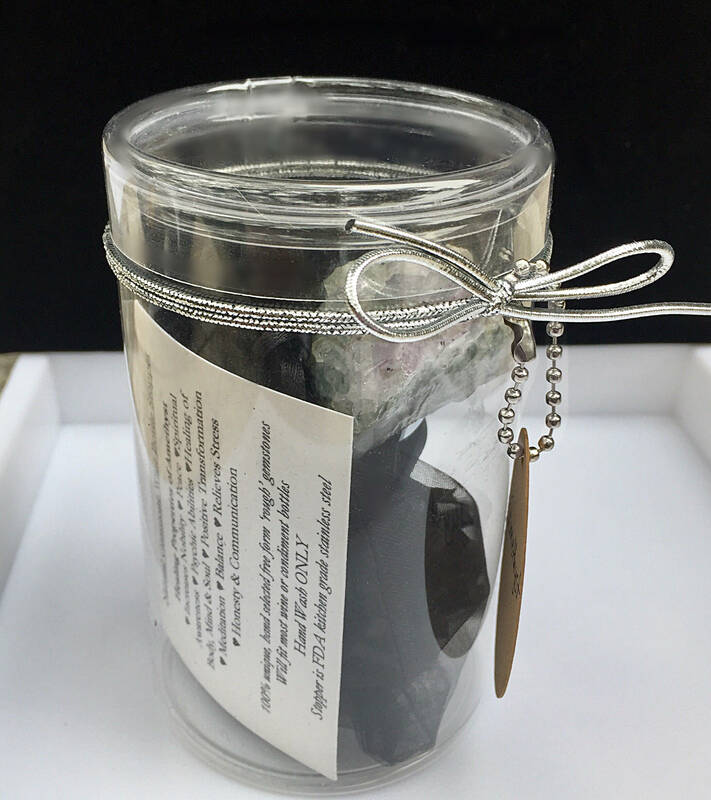 Tied with a stretch Bow Ribbon and a Logo / Description Card hanging from a metal ball chain. 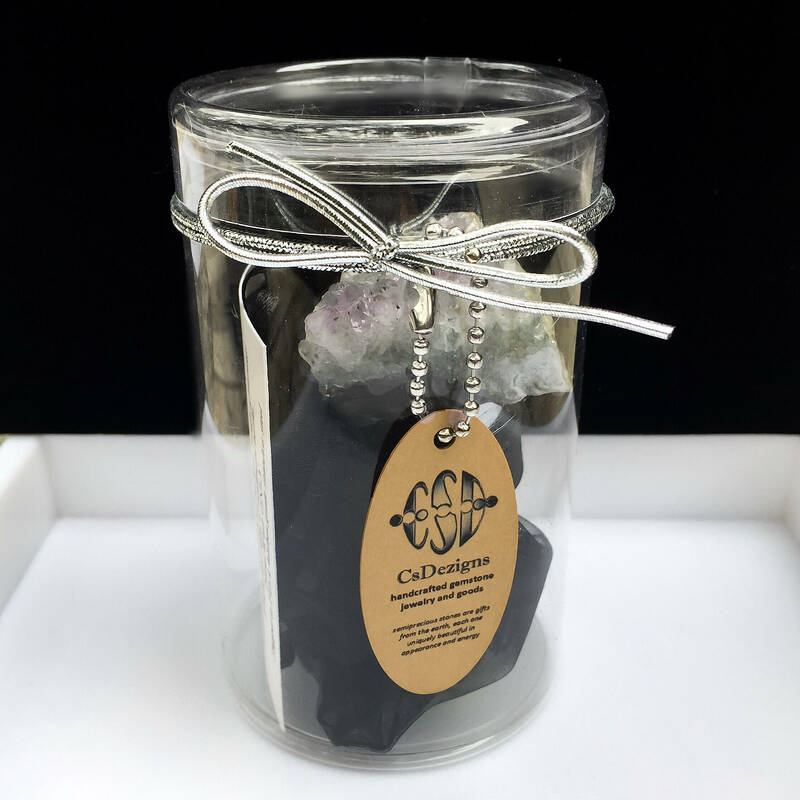 A Information Card noting the 'Gemstone Atrributes' will also be included. All placed in a white crush proof mailer box lined with crinkle cut filler. 🗩Please contact me for large orders.